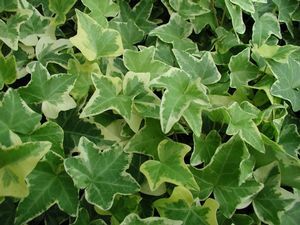 Selected as 2008 Ivy of the Year by the American Ivy Society, the 2-3” leaves have 3 to 5 lobes with golden yellow margins and grey-green centers. Warmer weather and more sun will fade the margins to a soft yellow. At 6” in height and a moderate growth rate, ‘Gold Child’ is ideal for containers or cascading over walls. Prefers loamy soil and average moisture.